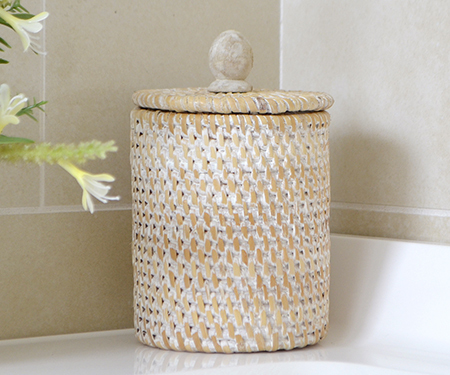 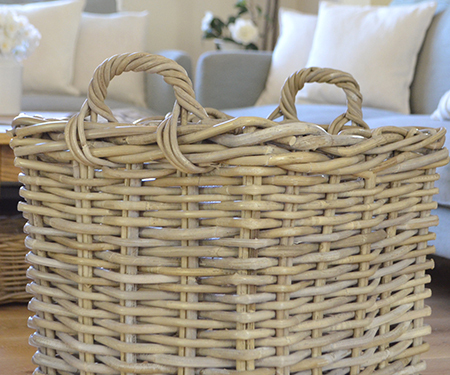 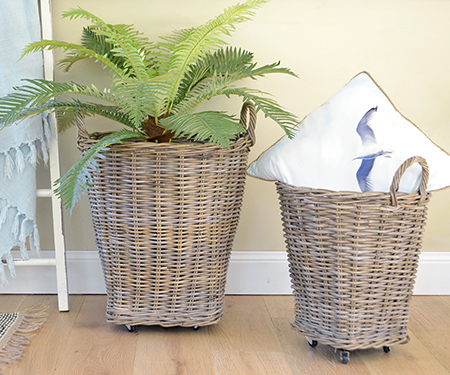 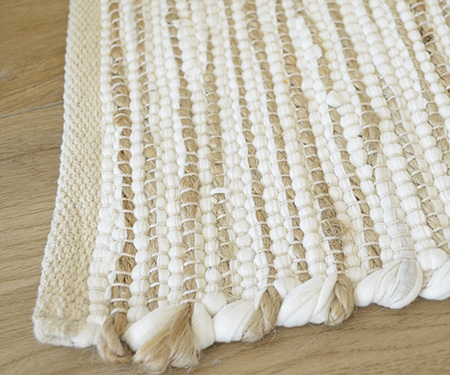 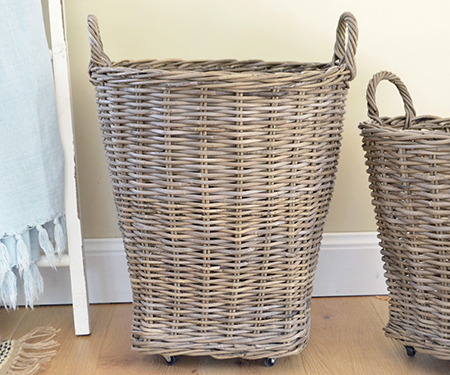 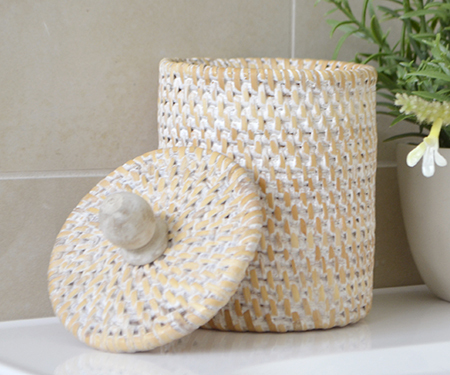 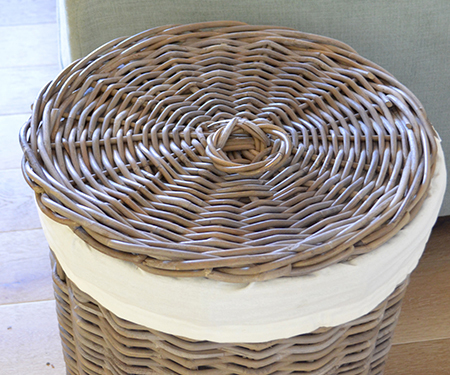 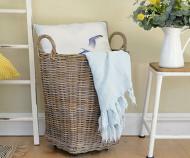 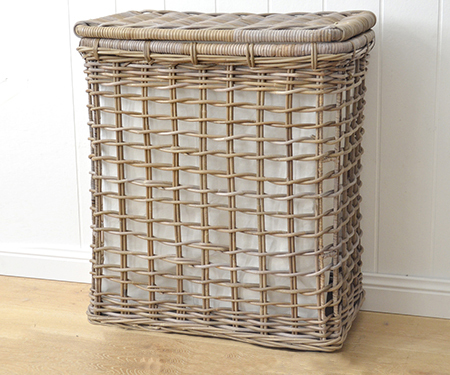 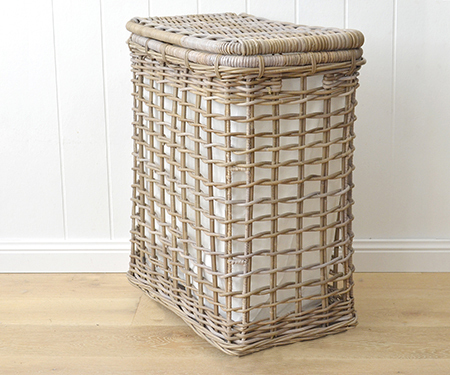 Handwoven from quality antique grey cane, this large storage basket on wheels is both beautiful and practical. 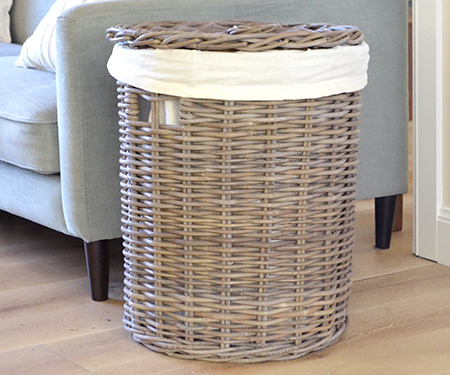 You can use this as a laundry or washing basket. 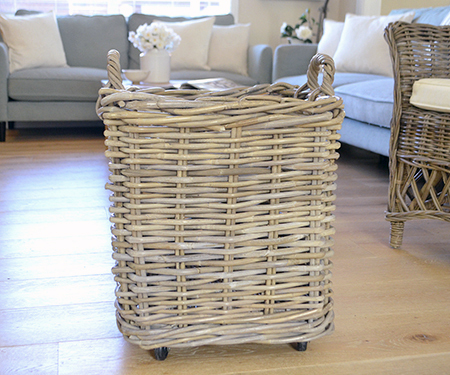 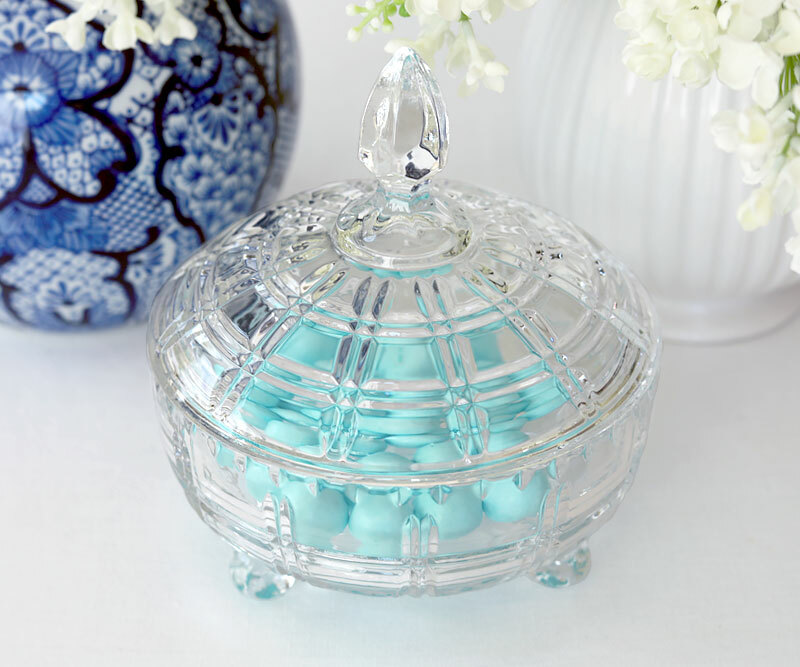 Or in the living room for storing throws and cushions or as toy storage. 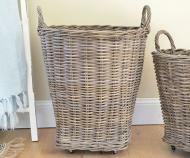 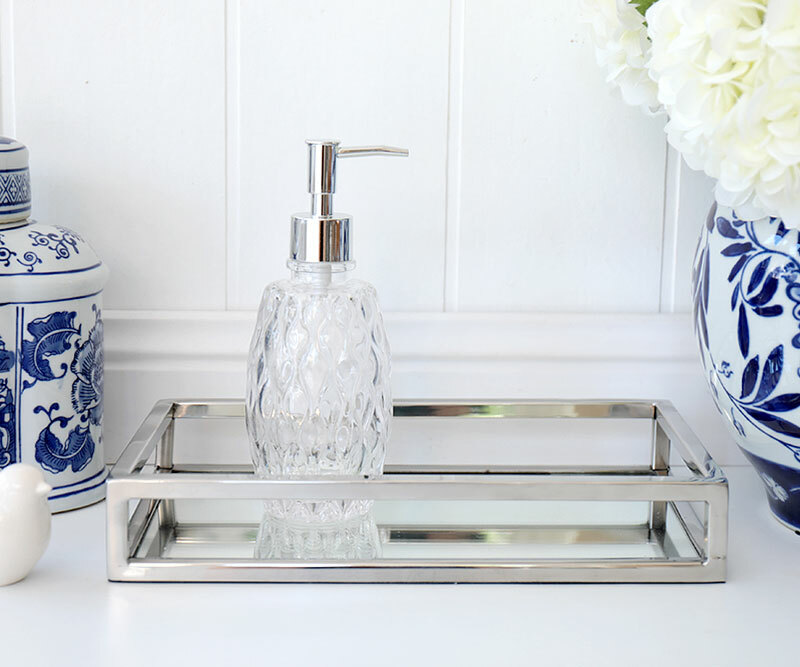 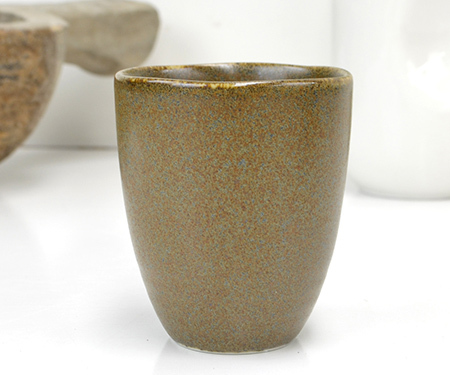 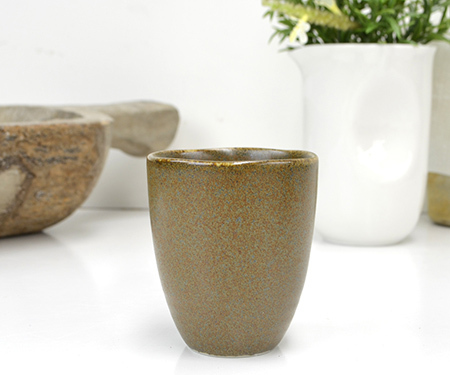 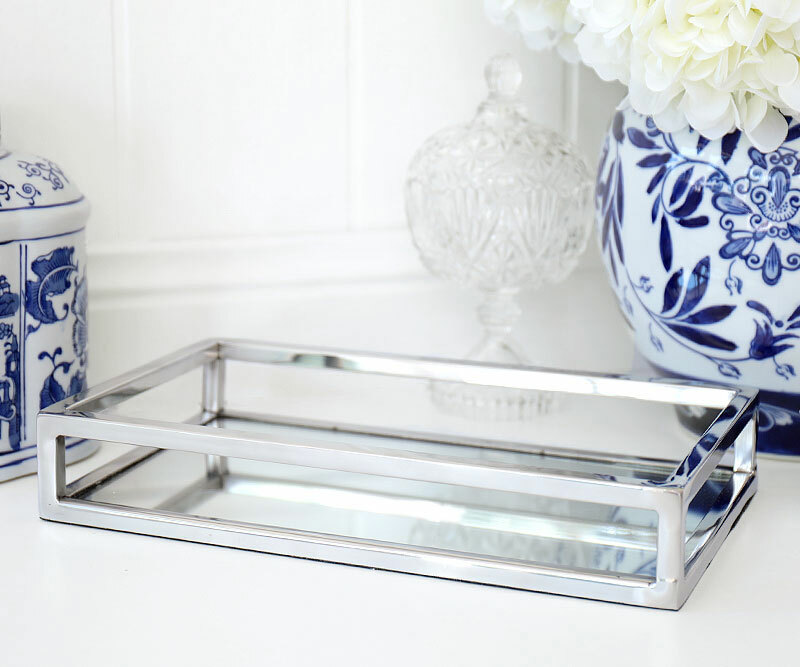 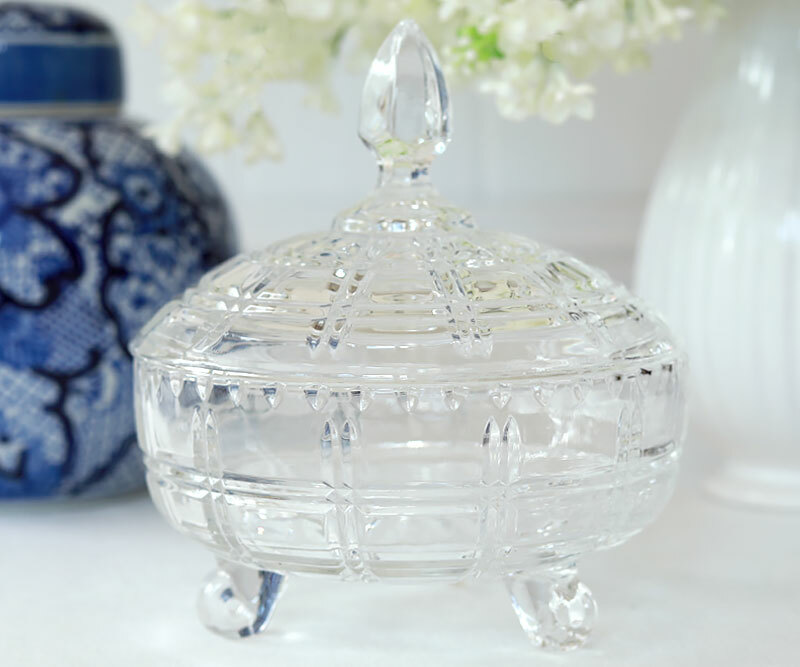 This large size measures 53cm tall (62.5cm tall to top of handles) and 50cm wide.